The Healthy Moms Magazine strives to provide quality content for its readers. In order to maintain our reputation as The Number One Health Blog for Moms we have adopted a “nofollow” policy for all back links within our site. 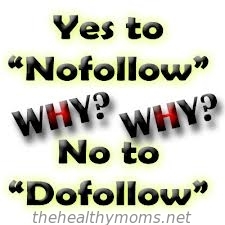 Why do we use nofollow tags? When we link to another website using a dofollow tag we are transferring “google juice” to that site by directing Google to crawl the link. The Healthy Moms Magazine publishes content from several bloggers and health experts, therefore linking to hundreds of other websites. If we use “dofollow” on the outgoing links Google will determine that we are passing page rank and accuse our site of Spam. This will cause The Number One Health Blog for Moms to be penalized and possibly removed from Google’s Database. In order to prevent the above from happening on April 11, 2013 all outgoing links have the “nofollow” attribute. Starting on May 1, 2013 The Healthy Moms Magazine will be changing it’s advertising and pr policy so that we can reach more US households with our message and improve our authority in Google and other search engines. Below are a few of the new changes that will go into effect on May 1. We will no longer publish guest posts of any kind. The Healthy Moms Magazine will not accept any new contributor applications. This website will focus on quality content and educating American families on how to live a healthier lifestyle in order to prevent childhood obesity. Our advertising and pr policies will adapt to reflect the above changes. This website is designed for educational purposes only. If you have any questions regarding our new policies please contact our founder, Cascia Talbert at talbert cascia at yahoo dot com.